Summer calls for lighter drinks. The hot chocolates and stouts that comfort us through winter are not thirst quenching on a day like today. In honor of a record setting high temperature, I’m sharing the drinks that keep us cool. Our friends Mike and Angie Six introduced us to this particular margarita on Cinco de Mayo. Typical margarita mixes call for 2 or 3 parts mix to 1 part tequila. 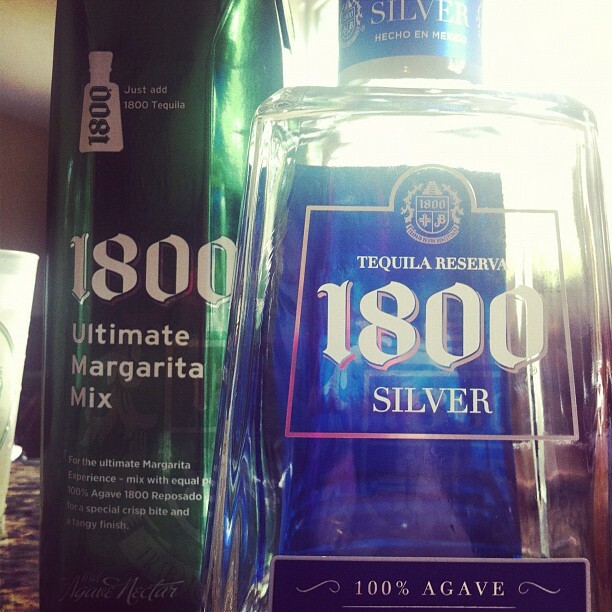 1800 Ultimate Margarita Mix calls for 1 part mix and 1 part tequila. This ratio makes for extremely bright and wickedly strong margaritas. No salt or limes necessary. They stand up incredibly well on their own. So well they lead to Just Dance for Wii parties at 10pm. 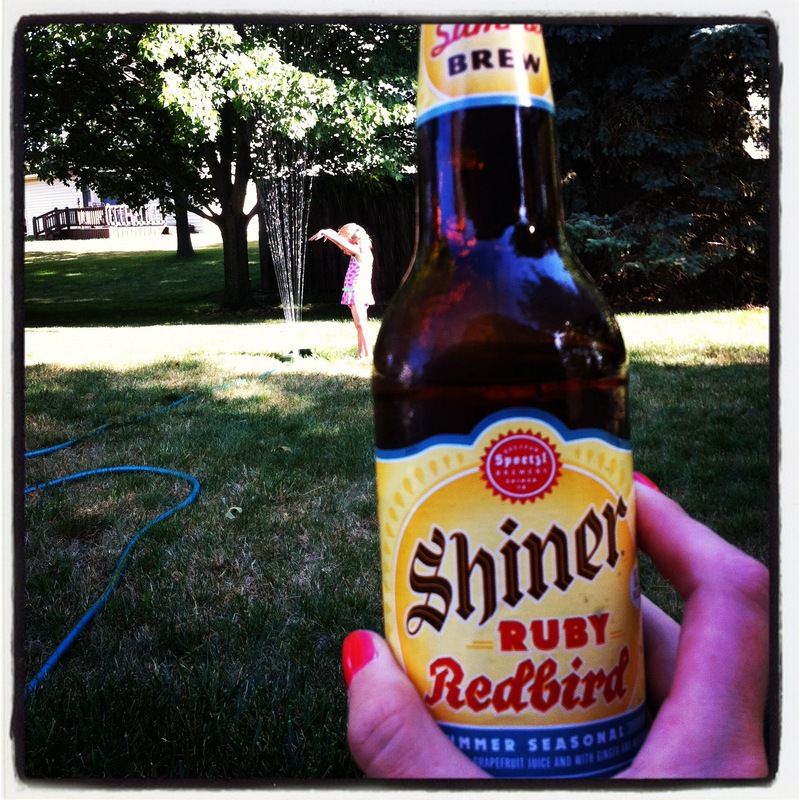 Shiner’s Ruby Red Bird is full of Texas grapefruit juice. The result is a beer that is sweet, tart and thoroughly enjoyable. The labels have a retro feel and I would definitely take this to a barbecue. I found this at Jungle Jim’s International Market during my last trip to Cincinnati, but haven’t seen it locally. 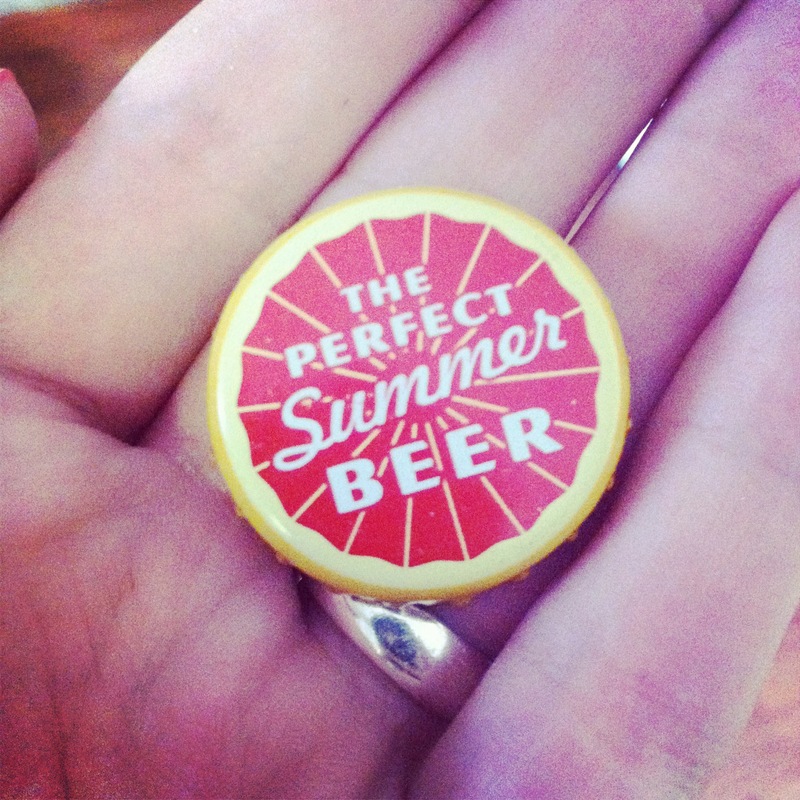 Even the bottle caps are adorable. I’ll be stocking up the next time I see this. This is NOT healthy coconut water. That un-carbonated nutty stuff from VitaCoco? This isn’t it. This is sparkling water with coconut flavoring. I am addicted to La Croix in general. I was never a cola drinker but I like carbonated drinks. 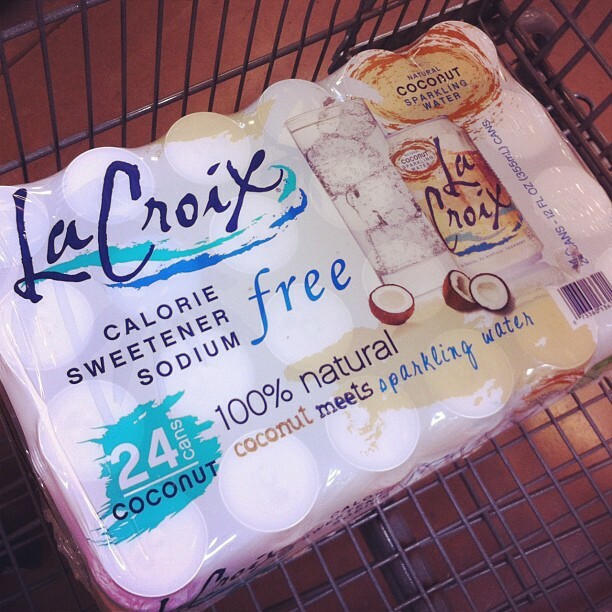 La Croix’s flavored sparkling waters have always tasted good to me and since I’m a coconut fan, their latest flavor hits the spot. 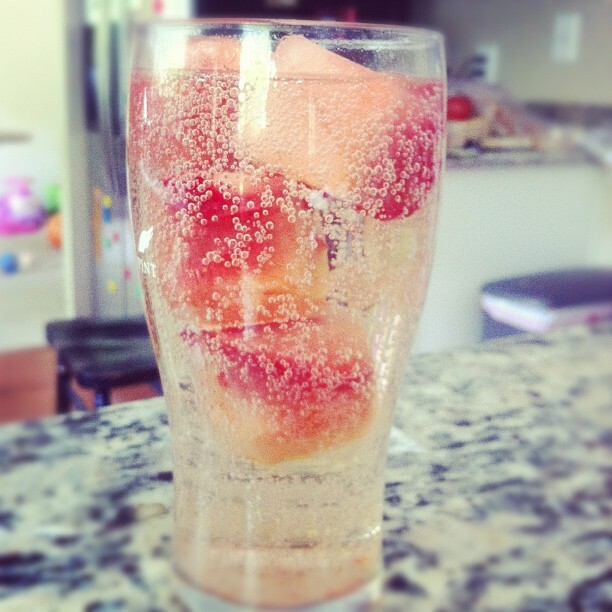 I saw Joy the Baker’s Strawberry Ice and knew they would be a perfect match for the sparkling coconut water. Stouts, porters, imperial india pale ales, hot chocolates, peppermint mochas and mulled cider: see you in October. We’ll send a postcard. Wish you were here. Enjoy your vacation.